How much is Kenny Aronoff Worth? 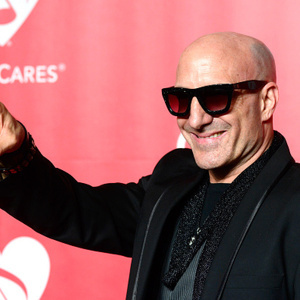 Kenny Aronoff net worth: Kenny Aronoff is an American rock drummer who has a net worth of $10 million. Kenny Aronoff graduated from Indiana University in 1976. He studied under the mentorship of the highly renowned timpanist George Gaber. Afterwards he went to the east coast where he enrolled in drum set studies in New York and Boston. During that period he started to concentrate on fusion and jazz music. In 1997 he was back in Bloomington, Indiana and joined a local band. He stayed with them for several years playing throughout the Midwest. In 1980 he was given the opportunity to audition for no one else but Lou Rawls. However, he had other plans. So he decided to join John Mellencamp's band. He stayed with him more than seventeen years in which period he recorded ten albums and did a numerous tours. The mid 80's was the period when his reputation as an excellent studio musician started to reach new heights. He started jamming with some of the biggest names in the music industry such as Bob Dylan, John Bon Jovi, Smashing Pumpkins, Elton John, Alanis Morissette, Joe Cocker, B.B King, Bob Seger, Rolling Stones, Rod Stewart, Puddle of Mud, Lynyrd Skynyrd, Meat Loaf and many others. In addition to that, he was and still is, an in-demand sideman. As a result of that he toured with Chickenfoot (replacing Chad Smith who had commitments with Red Hot Chili Peppers), Richard Thompson (replacing Dave Mattacks who broke his arm during the tour), Smashing Pumpkins, etc. During 2005, he went back on the road touring with The BoDeans. As a result of that he was part of their live CD set "Homebrewed: Live from Pabst". In addition to that he played drums on Avril Lavigne's CD, "The Best Damn Thing". Nowadays he is jamming with Chickenfoot, again temporary replacing Chad Smith.